Your oil painting tips, stories, photo's! 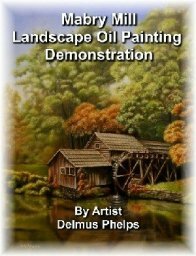 Your oil painting tips, photo's and stories. Now here's a thought. 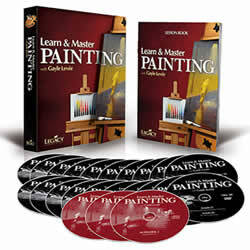 Your oil painting tips, your photo's and your stories, right here on the web. You put the work into it, why not brag a bit and show it off! All artist's have a need to create. But not all artist's have a place to show off their work. Well, here's your chance. Consider here to post your work, tell us about it's creation and if there is a special story behind the subject matter! Come on and join the group! Not ready to share just yet? No worries, read about what others have done by checking out the links below. Have you got more than one photo to show? Our software will take several which means you can shoot a few closeups of your work to show. We really like close-ups of the work, so others can see exactly how you do what you do! This part of the site has really began to shine, why not shine with it! Give us your oil painting tips and techniques, upload a few pics of your work, and flaunt your stuff! Some changes are in order! I would never have thought that we would be closing in on over 250 entries here! But we have! To make navigating easier, I have decided to move some of these great paintings to their appropriate section on the site. My first move has been the some of the still life paintings. If you are looking for yours, click on the link here to head over there. Have you got a fantastic still life painting to show off? Do the same! Some of our landscape paintings and portrait paintings have also been relocated and as this page has continued to grow, I will shift some to their appropriate subject matter. I'm so honored and proud that you have been so kind and brave to show us your work! Please continue to amaze us! If you're not sure where your paintings should reside (still life, landscape, and portrait), no worries, submit them right here! Got a great piece of art work to show the world? Beginner, semi-pro, or full time artist, show us your art! It doesn't have to be oils, or using this technique, but it does need to be a painting/drawing. Please tell us the medium, size, and what inspired you to create it! Do you have a great story to go with it? Your struggles, your victories? Come on and share it! Tell us about the passion you have in creating this work, tell us about the techniques, struggles and triumphs you found and felt while creating it. Enter the Title of your work here. Do include things like, medium, size of art, an what inspired you to create it. Your will appear on a Web page exactly the way you enter it here. You can wrap a word in square brackets to make it appear bold. For example [my story] would show as my story on the Web page containing your story. Please nothing larger than 800x600 pixels in size. What Others have already submitted! Click below to see others artwork on the site! Large flower in Flemish technique. Wildlife paintings, a snow leopard and a snow owl. "Very First Rose" A pink rose portrait. Various Horse oil paintings by our contributing artist here on Easy Oil Painting! Hi, My first serious painting I did in oil on MDF-board. "The Guitar Player" an oil painting demonstration of the flemish method. Click here to head back to the top of your oil painting tips.